I invite you to join the ninth edition of the Findhorn Foundation Training in Astroshamanism, in Cluny Hill College (Moray, Scotland), or any other astroshamanic training module or upcoming workshop in 2011 (click here for a calendar of events). Among the wide range of workshops available in the healing marketplace, including all the events I offer, the Findhorn Foundation Training in Astroshamanism (26 February – 13 March 2011) is the longest and most comprehensive all-in-one astroshamanic course. The training consists of two workshops, which can also be attended independently, which means that you can also attend only the first week, from 26 February to 4 March 2011. This edition of the training is particularly special since its new format allows me to work more closely with each participant, exploring and promoting their unique potentials, and offering individual consultations. I believe that these two weeks can offer support and clarity regarding your potential, providing opportunities to ground it in everyday life, both for your benefit and as part of your service to the environment. These years have been described by many light-workers and spiritual leaders as a crucial time for setting in motion major shifts in human consciousness. The Findhorn Foundation Training in Astroshamanism (26 February - 13 March 2011) provides an in-depth experience of contemporary shamanism, holistic awareness and spiritual healing research in alignment with the principles of inner listening, co-creation with nature and service that characterise the Findhorn community. Participants in the training are encouraged and supported in opening, discovering and implementing the relationship with their inner guidance and soul’s purpose. 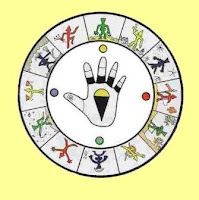 This also involves releasing blocks and retrieving hidden potentials, learning to use shamanic healing in their life and relationship with others. The training also implies exploring alternative realities, non-ordinary perception, ecstatic realms and spirit guides, yet with a sensible and down-to-earth attitude, aimed at ensuring a healthy integration with everyday life. The training takes place in a parte of the year, aligned with the transition from Pisces to Aries, Winter to Spring, is most ideal for voyaging into alternative realms and integrating the related visions through the grounding force of spring. The training is designed for newcomers as well as for those who wish to consolidate previous experiences with shamanism or related methods. Franco runs these two weeks not only with the aim to teach basic and advanced techniques, and how they can be applied according to your individual potential, but also to provide participants with the support thereafter. Hence the training is aimed to allow participants to continue their work autonomously with gained clarity and sense of purpose, while also giving them a solid basis for more advanced work and training options within astroshamanism or on other holistic healing paths. A vital benefit of all astroshamanic training modules is that they are designed for you as an individual, both at an ordinary and multidimensional level. The courses also involve individual work, aimed at helping to get the most from the healing work. 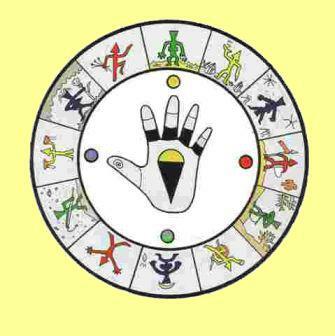 The astrological chart and its experiential applications are another most unique and effective aid in all astroshamanic trainings, and constitute a constant reference throughout the courses. The group element also plays a central healing role, and if you have attended other astroshamanic workshops you will be familiar with the amazing connections that the group experience. Completion of the training provides a solid basis for more advanced work. It is also aimed to allow participants to continue their work autonomously with gained clarity and sense of purpose. The training consists of two workshops, which can also be attended independently. 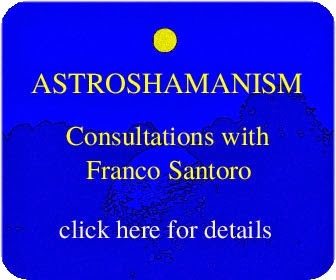 The training is held by Franco Santoro and a team of experienced members of our Astroshamanic Faculty. This workshop focuses on the clarification of the life Intent and the connection with the Spirit Guide. Participants will be trained in working with basic astroshamanic techniques for expanding perception and reawakening their authentic purpose. The programme includes: astroshamanic voyages, trance dance, totemic postures, circle positioning, astrodrama, ceremonial sharing, planetary chants, the ritual of the Sacred Cone and various opportunities for integrating shamanic work with ordinary reality. COST: The price for each week are: £495 for those with low income; £645 for those with medium income; £775 for those with high income (includes accommodation and all meals). There is a discount of £ 100 on the total combined price if booking both weeks. Concessions and bursaries are available. It is possible to extend the training and stay for four weeks (see below). 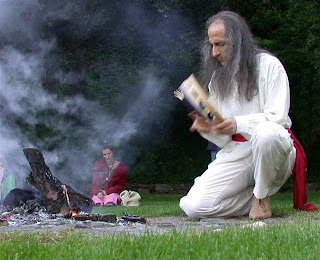 Participants who have completed the two-week training can also be admitted to the Astroshamanic Practitoner Intensive from 19 to 26 March 2011 (see: http://www.facebook.com/event.php?eid=169802173056914) and have a one-month astroshamanic training experience at Findhorn, including one week of integration relaxing or being active in the Findhorn Community. The total cost for four weeks, including accommodation and board is £ 1585. If you wish to attend please book now or at your earliest convenience. This is an all-comprehensive two-week training aimed at providing a basic experience and understanding of neo-shamanism, astroshamanism, and one’s soul’s path. Since the first edition of the training in 2003 more than 300 participants have benefited from this course (see a selection of comments below).